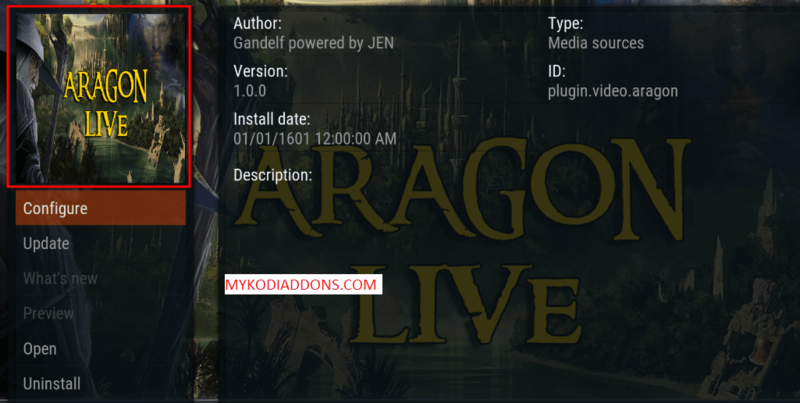 Hey guys, today we are going to guide you for Aragon Live Kodi addon. The name of addon itself says that this one is for users who want a good IPTV addon to watch Live TV Channels. Blamo Repository has been producing good working addon consistently keeping in mind all type of users and Aragon Live is one of them. This one can be your primary IPTV addon if other addons are not working for you. Aragon Live has mainly two categories to choose but you can find a wide range of sub-categories in the Aragon LiveNetTV which includes Movies, Music, News, Documentaries, Kids, Sports, and UK & USA Channels. Aragon Live is now installed and ready to use.